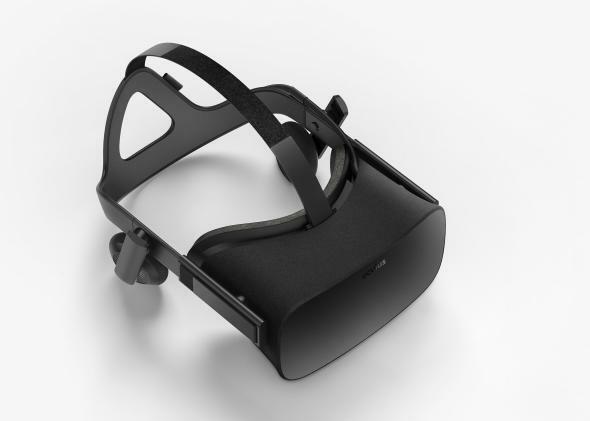 Oculus Rift virtual reality headset is coming. Here's what it looks like. The Oculus Rift has been bouncing around in one form or another—prototypes, Kickstarter campaigns, developer kits—for three years now. It’s been more than a year since Facebook purchased the company behind it, Oculus VR, for $2 billion. And you still can’t buy one. 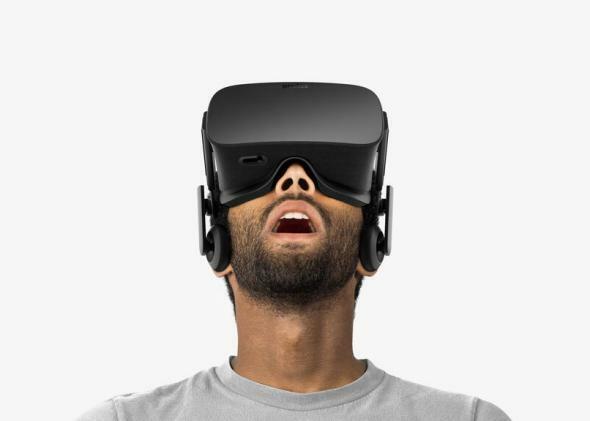 But now you can at least see what the Oculus Rift will look like when it finally goes on sale early next year. Oculus executives showed off the consumer device, along with key peripherals and software, at a press event in San Francisco on Thursday. Previous versions have, shall we say, prioritized functionality over fashion. The consumer device looks sleeker, as you’d expect—and yet not so sleek that anyone would feel flattered by a shot of herself wearing one. This is still a device that you’ll want to use in the privacy of your living room. That said, it is finally starting to look more like something you’d find on the shelf of a Best Buy than lying around Steve Wozniak’s garage. The Rift is still in its awkward stage, but it’s maturing fast. The foam-wrapped Rift will ship with two adjustable OLED screens, a “constellation tracking” sensor system to track your head movements, removable headphones, a standalone sensor that sits on your computer desk, and a Microsoft Xbox game controller. Oculus’ partnership with Microsoft also means that the device will work natively with Windows 10. Not included with the headset will be the computer you need to run the games. That could present a serious obstacle for the casual consumer: To run the Rift, you’ll need a powerful desktop PC that meets some very specific performance requirements. Oculus has admitted that those specs will rule out pretty much every laptop on the market today. It’s a safe bet, then, that the first consumer Oculus Rift will remain largely the province of early tech adopters. It’s also clear from Thursday’s launch event that Oculus has one main use case in mind: gaming. Every software demonstration was a game, ranging from an outer-space sci-fi shooter (EVE: Valkyrie) to a labyrinth exploration role-playing game (Chronos) to an Arctic survival adventure (Edge of Nowhere). The demonstrations looked promising enough, although it’s impossible to know how good the Rift games are until you try them firsthand. Gamers will have a chance to do just that at the upcoming E3 expo in Los Angeles. Oculus did not announce how much the headset will cost, though it has promised in the past that the total price of a system (including PC hardware) will be under $1,500. While gamers are the initial target, the promise of virtual reality remains broader. Executed properly, a VR device can mentally transport you to another place and time—a power that could be put to educational, business, journalistic, or artistic ends as easily as entertainment. No doubt those applications will follow if the Rift succeeds as a gaming platform. The corollary to virtual reality’s transportative power is that it also shuts out the world around you like no other medium. Given how silly a Rift will make you look to the people around you, perhaps that’s for the best.